I'm beginning to see how The Avengers will be the Star Wars of the next generation, and not just because of the many ways in which this is the Empire Strikes Back of the series (the team is falling apart, the enemy and the hero are directly related). Even if it doesn't succeed for me on the same level, what strikes me as the series's greatest success is the way it balances character and plot. This is also its biggest potential weakness, since the screen time and potential development for each character shrinks as the cast grows, but if this is a failure than it's one of execution rather than ambition. The Avengers's world is enormous, and even if this is partially due to the historically unprecedented cinematic universe (I know the internet doesn't need more people to say how cool this is, but really, this is so cool), it's undeniably impressive how Joss Whedon pulls so many characters together under one roof and still gives them each time to shine. Whether you buy into this universe or not, there's no denying that it's a phenomenon that will come to define the decade. The movie has been out for two days and already I feel like there's nothing new to say about it. While I see the formulaic nature of the narrative and the inherent weaknesses in telling such a big story (and after Marvel finally created a memorable villain other than Loki, they give him another nonsensical plan and dissolve him into a horde of CGI constructs), ultimately its successes of ambition, of character, and even of kinetic action (the opening long take is so much fun even if it relies on digital trickery) pull the experience together as a positive one. But since this sort of traditional criticism has already been done better by others, I'm going to try to stick to what I know best: silly thematic analysis. 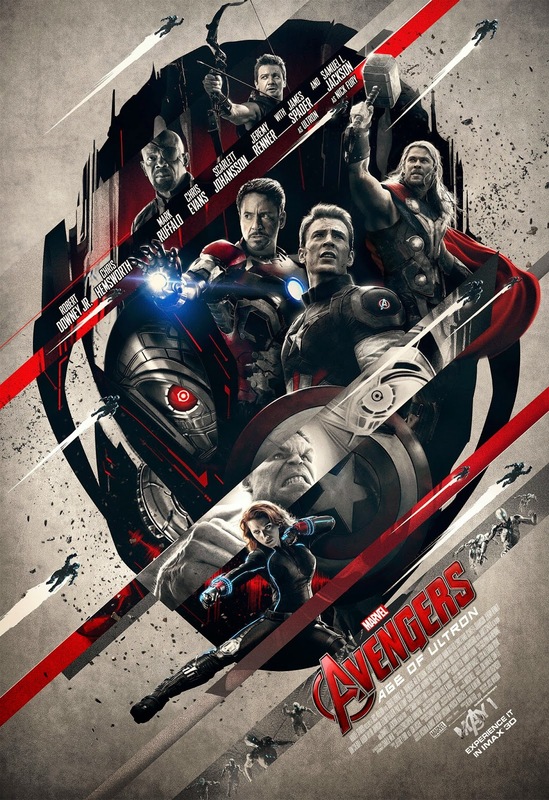 Avengers: Age of Ultron is first and foremost a movie about the distinction between the individual and the community. The Avengers are a team of isolated superheroes, but they function together as a group, and when one of them acts on his own he creates a monster. Ultron is a being defined by his individuality: there are many of him, but each one is the same, populated by the same consciousness. 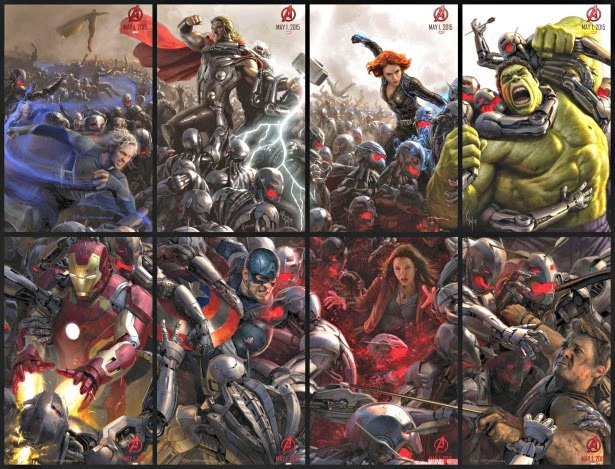 The diversity of characters found in The Avengers is lost in the masses of Ultron's faceless minions. The Avengers may disagree with each other (and here they often do), but it is this dissent which gives them their strength. They are not a group ruled by one, but a team of equals. This ideal is given a political tint by repeated dialogue concerning the question of "doing your job." Hawkeye tells Wanda Maximoff that the reason they do this is because it is their job. They are a party of laborers taking on a singular tyrant (both Ultron's violent power and Stark's unilateral decision-making). They are the 99% striking back at the inhumanity of the 1%. They are communism facing off against capitalism, and in this way they embody a particularly relevant modern cultural anxiety (the tenability of capitalism in a world where anyone able to reach the top is seemingly necessarily psychotic). Ultron's singular nature also embodies our fear of the technological singularity. He is an artificially intelligent being, and as such he represents the power our inventions have over us. But he is also a creation of Tony Stark, and thus a quasi-familial descendant of humanity which is not intent on its destruction. We fear that our creations will one day turn against us. When Ultron infiltrates the Internet and forces The Avengers to return to antiquated pen and paper research methods, we see our anxieties about over-reliance on technology realized on screen. I'm not an expert on the comic book medium as such (either in its original form or as movies), but like all science fiction they use the fantasy world they create to explore interesting or culturally relevant ideas. 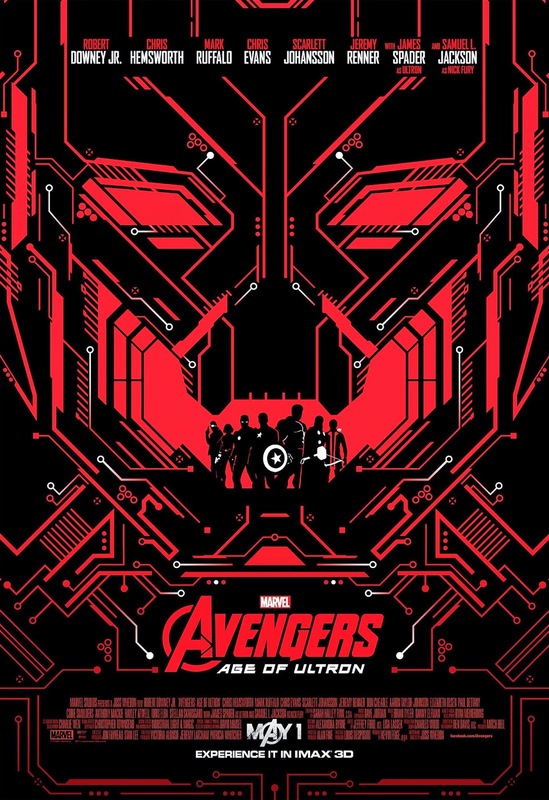 Thanks to its talented writing (both in terms of smart themes and fun characters), Age of Ultron proves that there's something here even for movie lovers with no attachment to the source material. It's a fun ride grounded in relevant social concerns, and for something working within the confines of the summer blockbuster it's hard to ask for more.